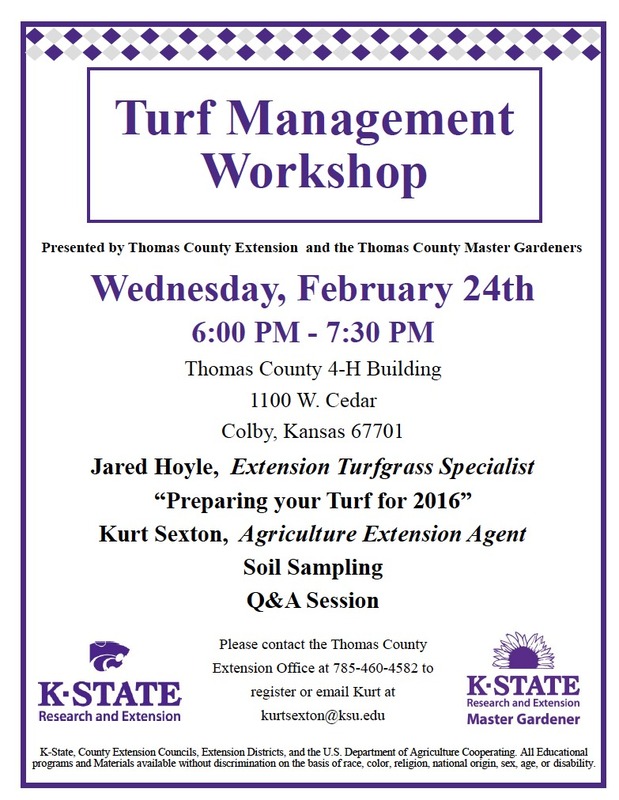 Sign up today for the Turfgrass Management Workshop in Colby, KS. This event is for anyone who manages turfgrass, from homeowners to professionals. Kurt Sexton will be talking about soil sampling and the appropriate methods and I will be presenting on how to prepare your turfgrass for 2016. Following the presentations we will have a question and answer session, so bring your questions!